Former Home Office drug minister and former Defense Minister Bob Ainsworth has called for all illegal drugs, including cocaine and heroin, to be legalized. He told the House of Commons Friday that addicts should be prescribed heroin rather than allowing global criminal organizations to handle and get rich from the illicit drug trade. Ainsworth called in the House of Commons for a fundamental rethink of British drug policy. Ainsworth's call was met with support from some MPs from all parties, but was roundly criticized by his own Labor Party. Ainsworth served as head of drug policy under former Prime Minister Tony Blair, and as Blair's defense minister, he oversaw the British effort to eliminate opium planting in Afghanistan. "Prohibition has failed to protect us. Leaving the drugs market in the hands of criminals causes huge and unnecessary harm to individuals, communities and entire countries, with the poor the hardest hit," Ainsworth said in remarks reported by The Independent. "We spend billions of pounds without preventing the wide availability of drugs. It is time to replace our failed war on drugs with a strict system of legal regulation, to make the world a safer, healthier place, especially for our children. We must take the trade away from organized criminals and hand it to the control of doctors and pharmacists." Ainsworth said his experiences in Afghanistan had been an education. "Bombs and bullets and the wherewithal to produce IEDs are bought by funds supplied by international drugs," he said. A massive NATO occupation had failed to stamp out the heroin traffic, he said, so it was now time to consider "taking the market away" by legalizing drugs. Former deputy Conservative leader Peter Lilley said he favored legalizing marijuana, while continuing to keep hard drugs illegal. Still, he supported Ainsworth's call for a reexamination of British drug policy. "I support Bob Ainsworth's sensible call for a proper, evidence-based review, comparing the pros and cons of the current prohibitionist approach, with all the alternatives, including wider decriminalization, and legal regulation." "This could be a turning point in the failing UK 'war on drugs,'" said Labor MP Paul Flynn, a legalization supporter. But Labor's leadership was quick to distance itself from Ainsworth's remarks. "Bob's views do not reflect Ed's views, the party's view or indeed the view of the vast majority of the public," a spokeswoman for Labor Leader Ed Miliband said. Ainsworth's remarks were "extremely irresponsible," said an unnamed party source. "I don’t know what he was thinking." Although the extent of opium poppy cultivation in Afghanistan remained unchanged from last year, opium production declined by nearly half, thanks largely to a plant disease that affected poppy fields, the UN Office on Drugs and Crime (UNODC) reported Thursday. But that means rising prices could provoke an increase in cultivation, UNODC warned in the executive summary of its 2010 Afghanistan Opium Survey. The full report will be released later this year. 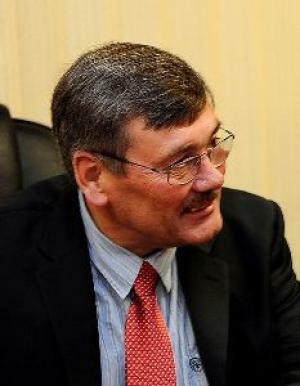 "This is good news but there is no room for false optimism; the market may again become lucrative for poppy-crop growers so we have to monitor the situation closely," said Yuri Fedotov, new executive director of UNODC. Afghanistan produces more than 90% of the world's opium, the raw ingredient used to make heroin. 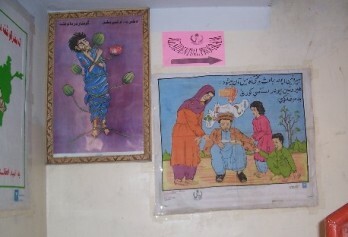 Production of the illicit crop is centered in southern Helmand and Kandahar provinces, home base of the Taliban insurgents. Profits from the opium trade fund the Taliban to the tune of an estimated hundred millions of dollars each year. UNODC said slightly more than 300,000 acres were planted with poppy this year, about the same as last year after declines the two previous years. 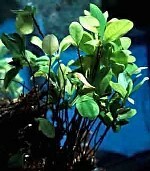 But because of the plant disease, opium production was estimated at 3,600 metric tons, down 48% from 2009. The disease is likely spurring opium price increases, UNODC said. Prices declined from 2005 to 2009 as production boomed and stockpiles soared, but now the price is shooting up. Last year, farmers could expect to get $64 per kilogram of opium; this year, the price has nearly tripled, to $169 per kilo. The stability in poppy cultivation comes despite years of efforts and billions of dollars invested in suppressing the trade. The US spent $250 million on anti-drug efforts in Afghanistan this year alone, according to the State Department's Office of International Narcotics and Law Enforcement (or "drugs and thugs," as Foggy Bottom wits like to call it). Fedetov, a veteran Russian diplomat who took over the reins of UNODC earlier this year and whose home country is confronting high levels of heroin addiction, said a broader strategy was needed to end Afghan poppy planting. "As long as demand drives this market, there will always be another farmer to replace one we convince to stop cultivating, and another trafficker to replace one we catch," he said. Opium production in Afghanistan could be reduced by as much as a quarter this year because a fungal disease is afflicting the crop, UN Office on Drugs and Crime head Antonio Maria Costa told the BBC Wednesday. Farmers are quick to point the finger at the US and NATO, although evidence that the disease is anything but a natural phenomenon is lacking. Costa said the fungus may have infected half the country's poppy crop. He added that opium prices had increased by about 50% in the areas affected. Afghanistan produces more than 90% of the world's illicit opium. Increasing prices could mean increased revenues for Taliban insurgents, Costa suggested. The Taliban is sitting on large stockpiles of opium left from record levels of production in the last few years. The fungus is appearing primarily in Helmand and Kandahar provinces, the heartland of both the Taliban and current Afghan opium production. US and NATO forces are about to launch major offensives in the area to try to clear and secure it. In a bid to win popular support in the region, the US has backed away from previously supported eradication campaigns, choosing instead to target drug traffickers linked to the insurgents. In the Bush administration, some officials had argued for the use of aerial spraying of herbicides, but that was rejected. Still, some farmers think the US and NATO are poisoning their crops. Farmer Haji Mohammad in Nawzad told the BBC that he had seen a dramatic reduction in the amount of opium he was able to harvest. He described the fungus as an "aerial spray." He said his poppy harvest had shrunk 990 pounds last year to nine pounds this year. "[It]... has affected my wheat cultivation and my chickens and other animals as well," he said. "The powder sprayed has a white color and I think it is chemical and if you squeeze it in your hand, water comes out of it." Other farmers in the region also said they had seen a white substance on their crops. They, too, reported extensive crop damage and that livestock had been affected. But Costa denied that the West was using biological warfare in Afghanistan. "I don't see any reasons to believe something of that sort," he said. "Opium plants have been affected in Afghanistan on a periodic basis." India's Maoist insurgents, also known as Naxalites, are partially funding their long-running rebellion with profits from illicit opium poppy and cannabis crops, according to a new report from the Institute for Conflict Management. The groups also fund themselves through taxation of major corporations, farmers, and small businesses in areas they control. Known officially as the Communist Party of India-Maoist, the Naxalites emerged in 1967 after splitting from the Communist Party of India-Marxist, and have been engaged in an on-again, off-again rebellion against the Indian state ever since. Originally centered in West Bengal, the Naxalites now operate in 20 of India's 28 states in districts comprising about 40% of the national territory. They are especially strong in rural eastern India, where they control 92,000 square kilometers in the so-called "Red Corridor" running through Chhattisgarh and Andra Pradesh states. The Naxalites are estimated to have between 10,000 and 20,000 men under arms, tens of thousands more organized into local militias, and sympathizers numbering in the millions. Indian Prime Minister Manmohan Singh has called them the single greatest internal threat to Indian security. On Tuesday, in their toughest blow against Indian security forces since the rebellion began, Naxalites ambushed and killed 75 paramilitary police in Chhattisgarh state. 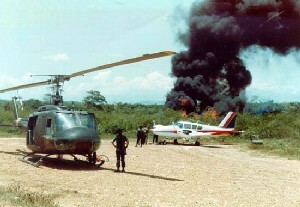 Of a paramilitary expedition of 82 persons, only seven survived, and they were all wounded. While India is one of a handful of countries licensed to produce opium for the legal medical market, it is also the home of substantial illicit poppy cultivation and, according to the report, the Naxalites are profiting from unlicensed opium fields in Jharkhand and Bihar states. Indian authorities report they destroyed opium crops worth $270 million on the black market in 2007. What is unknown is how much was harvested, with the profits ending up in Naxalite war chests. The Maoists are also making money off cannabis. According to the 2008 Mohanty Commission of Inquiry, the CPI-Maoist and its front groups were behind extensive cannabis cultivation in Orissa state. One group, People's War, which later merged with the CPI-Maoist, was allegedly in charge of between 7,500 and 10,000 acres sown with cannabis. Indian government officials have been urged to undertake opium eradication campaigns to undercut the Naxalites. They believe the Naxalites are not only benefitting from the illicit trade, but that cultivation of thousands of acres is taking place under their supervision. In addition to buying guns, including heavy weapons, with the profits, the Naxalites are also spending on vehicles, including motorbikes with special tires to navigate the forests, supplies, communications equipment, and salaries for unemployed rural youth who join the armed struggle, the report said. America's twin wars without end -- the war on drugs and the war on terror -- continue to play out in the heart of Southwest Asia as the Obama administration beefs up US troop levels, but tries new tactics in its battle against the opium poppy and the Taliban insurgency grown wealthy off the drug trade. Eradication is out -- at least for now -- and interdiction and going after Taliban-linked drug lords is in. The thousands of new troops are to provide the muscle to wrest and hold territory from the Taliban. The new drug strategy is designed to win over Afghan farmers long enough for economic development projects to take hold once the troops and their NATO and Afghan Army counterparts secure key areas. 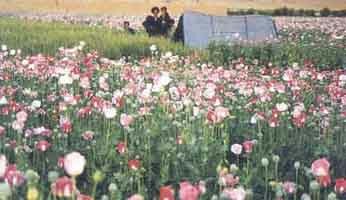 One of those is Helmand province in the south, producer of more than half of all the opium poppies in Afghanistan. If Helmand were an independent country, it would be the world's largest opium producer. 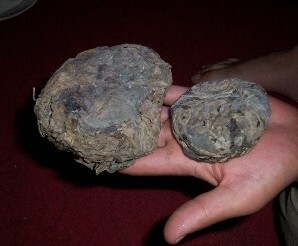 Most of Helmand's opium is produced in the Helmand River valley, whose largest town, Marja (pop. 80,000), is a commercial hub for the opium and heroin trade. It is also the main Taliban stronghold in the province. 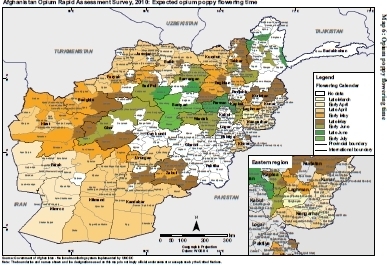 Because of the weakness of the Afghan state and the relatively small NATO and US military presence in Helmand up until now, the area has been largely under Taliban control for the past several years. Occasional Western military sweeps have driven the Taliban from different locales, but only temporarily. Once the troops pass through and once local inhabitants realize the government and the West have not come through on their promises of assistance and development, let alone a permanent presence, the Taliban reassert control. The much ballyhooed Marja offensive now underway is designed to be different. This time, commanders say, the military occupation will be followed in short order by a "government in a box," a quick rolling out of Afghan police and officials accompanied by the provision of services and development and economic assistance. Once the military succeeds in driving the Taliban from Marja, the rapid-fire creation of a government presence will ensure that the local population switches loyalties from the insurgents to the national government. Some 15,000 US, NATO, and Afghan Army forces are now one week into assault on Marja, a According to all accounts, the operation is going as expected, with Western and allied Afghan forces slowly occupying the town block by block. They raised the Afghan flag over Marja's central market Wednesday. While the fighting is going as planned and the immediate result -- driving the Taliban from Marja -- is not in doubt, it hasn't been a cakewalk. While the local Taliban leadership and an unknown number of fighters fled before the fighting began, hundreds of fighters stayed behind to harass the incoming troops. NATO commanders report encountering a town laced with booby traps and bombs (IEDs), and soldiers have come under attack from machine gun and sniper fire. At least nine Western troops have been killed in the fighting so far, with Thursday being the bloodiest yet, with four killed. And despite US commander Gen. Stanley McCrystal's repeated commitment to avoiding civilian casualties in order to squelch Afghans' anger at the death of their fellow citizens at the hands of foreign invaders, civilian casualties have occurred. At least 15 civilians have been killed, including 12 -- five children, five women, and two men -- were killed early on in a NATO missile strike. Three more died after being shot by NATO forces during an engagement with the Taliban. Not everyone is buying Western assurances that this time will be any different than before. In an interview with the London newspaper The Independent, Afghanistan's "most famous woman," parliament member Malalai Joya, voiced deep skepticism about the operations aims and its impact on Afghan civilians. "It is ridiculous," said Joya. "On the one hand they call on Mullah Omar to join the puppet regime. On another hand they launch this attack in which defenseless and poor people will be the prime victims. Like before, they will be killed in the NATO bombings and used as human shields by the Taliban. Helmand's people have suffered for years and thousands of innocent people have been killed so far." Joya proved prescient on that count, with the NATO missile strike and shootings mentioned above and with repeated press accounts of the Taliban in fact using civilians as human shields. Reports have come of insurgent fighters shooting at troops from the second floor of a building while their family members stand on the third floor in a bid to either prevent retaliation against the shooter or to score propaganda points in the event Western forces kill or injure civilians. She also scoffed at Allied claims that the West won't abandon Afghan civilians after the military surge. "They have launched such offensives a number of times in the past, but each time after clearing the area, they leave it and the Taliban retake it. This is just a military maneuver and removal of Taliban is not the prime objective." Analysts who spoke to the Chronicle this week provided a decidedly mixed assessment of the offensive and what comes next. "That this is going well tactically is important progress," said Vanda Felbab-Brown, an expert on drugs and insurgencies at the Brookings Institution and author of the just published [and soon to be reviewed here] "Shooting Up: Counterinsurgency and the War on Drugs." "You have to remember that there have been a number of operations in Helmand where even tactically, we were losing because they were so under-resourced. 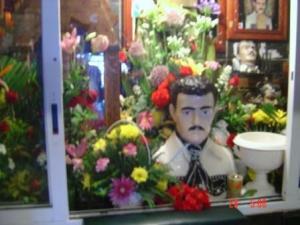 Whether it will be a strategic success remains to be seen." It isn't all up to the West, she noted. "What complicates things is that a lot of the outcomes aren't necessarily in the hands of NATO or the West, but will instead depend on the quality of the Afghan government," said Felbab-Brown. "This government-in-a-box plan has its drawbacks and flaws, but it is better than nothing. At least now there is some effort." Watching the offensive unfold, Sanho Tree, international drug policy analyst for the Institute for Policy Studies, was reduced to quoting the ultimate realpolitiker, Henry Kissinger, on Vietnam. "As early as 1969, Kissinger wrote in the journal Foreign Affairs: 'We fought a military war; our opponents fought a political one. We sought physical attrition; our opponents aimed as psychological exhaustion. In the process we lost sight of one of the cardinal maxims of guerrilla war: the guerrilla wins if he does not lose; the conventional army loses if it does not win,'" Tree recited. "This was a well-publicized invasion," Tree pointed out. "The leadership disappeared, but they'll be back to fight when the odds are better." The Taliban weren't the only ones to take advantage of the warnings of a coming attack, said Raheem Yaseer of the University of Nebraska-Omaha Center for Afghan Studies. "The drug lords are very efficient," he said. "I'm sure they are all in safe havens now. NATO talked about the attack for so long that they've had time to take care of their commodities and themselves. The war on drugs part of this has not been very successful so far because of these warnings -- and these people are smart." The offensive could cause some temporary disruptions of the drug trade in the area, Tree said, but was unlikely to make a major dent. "The lesson from the rest of the world is that these things don't really make much difference. Last year, it was a different 'opium capital,' next year, there will be another one." The drug trade keeps shifting," agreed Yaseer. "When one place comes under attack, they go elsewhere. They buy the people, they buy the police; they will be the last to be affected." "This won't have a great impact on the drug trade," said Felbab-Brown. "Marja doesn't determine what happens in Afghanistan -- that depends on interdiction and rural development, which is hard and takes a lot of time." The ability of Western and Afghan government forces to conquer Marja was never in doubt. But the big question is whether they can build on the military success to turn the region into a bastion of support for the government, eliminate the insurgent threat once and for all, and continue to wage war on the opium poppy. "Time will tell," said Tree. "Sequencing is key to a lot of this, and in terms of the drug stuff, sequencing is everything. That was the big argument with the advocates of eradication. They said eradicate first, then talk, but that was completely backwards. Now, with the hands-off policy for opium cultivation, you need to just let the prices fall, and people will switch to other crops, but that will only work until opium supplies shrink and prices go up again. So there is probably a one- or two-year window of opportunity to roll in infrastructure and install clean governance. You have to thread a lot of needles in a very short time, and the history of US involvement in Afghanistan doesn't suggest the odds are good." "There will be a real temptation on the part of the West to define good government as suppressing poppies, but that could be just the opposite of how Afghans see it -- they will want to see economic development to replace their losses first," she said. "There will be a temptation for us to go for planting bans and suppression, but I don't think that's a model we should really be after. If a few months from now we decide it has stabilized and we try to prevent the harvest, people will be quite unhappy." It's not a coincidence that the population is being somewhat receptive to the foreign troops, she said. "The troops are walking through poppy fields, not destroying them. The message is that the US is focusing on interdiction and development. If we eradicate later, that will result in great political destabilization. "The Taliban have a lot of sympathizers there," said Yaseer. "The people are disillusioned with the government because for so long it couldn't do anything. And a lot of families have people on the payroll of the Quetta Shura [the now Pakistan-based Taliban led by Mullah Omar]. By some accounts, they were paying each household $700 a month. But now the pressure is on them to quit the Taliban." Rapid economic and security development is key, said the Afghan scholar. "Destroying the poppy fields will help, but then you have to have an alternative ready," he said. "You can distribute food, help them grow wheat, provide fertilizer, things like that." Taliban hard-liners will leave the area voluntarily to live to fight another day, Yaseer said, but unless an effective state presence is in place, they will come back. "The promises have to be kept and the aid has to move in immediately," he said. "They have to move in humanitarian assistance, reconstruction projects, sustenance for the people. And it has to be isolated from neighboring provinces where the Taliban will infiltrate back in from if those routes are not protected." The military battle of Marja is winding toward its inevitable conclusion. Now, the battle for the hearts and minds of its residents is about to get underway. Meanwhile, the opium trade hiccups with minor disruptions, but lives on largely untouched, and the West remains mired in a land war in Asia fighting the twin ephemera of a war on an abstraction (terrorism) and a war on an inert substance (opium). After declining for the last two years, opium cultivation in Afghanistan will remain close to 2009 levels, the UN Office on Drugs and Crime (UNODC) said in a report Wednesday. The report, the agency's annual winter opium survey is based on reports from farming villages about whether they planted opium last fall. 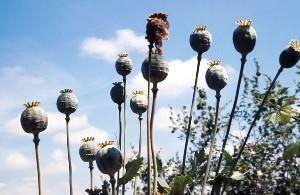 Afghan opium production peaked at 8,200 tons in 2007 and was estimated at 6,900 tons last year. This year's production should be similar, although the UNODC held out the hope that drought could reduce production even if the same amount of land is planted. Global demand for illicit opium is estimated at about 5,000 tons a year. "Overall, the cultivation of opium in Afghanistan is likely to remain stable in 2010 but the number of poppy-free provinces may decrease," from 20 to 17, the report said. "However, if timely poppy eradication measures are implemented and/or drought conditions prevail, a total of 25 provinces -- an increase of five compared to 2009 -- could be poppy-free in 2010." 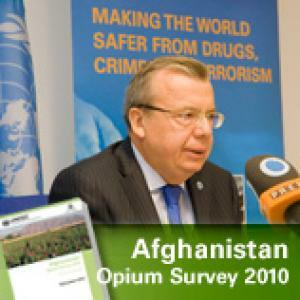 The report surveyed 536 Afghan villages and found that 35% said they had planted opium for the 2010 harvest. Farmers cited better prices for opium than for other crops. While the price of dry opium has declined by 6% from last year, and the price of raw opium by 13%, prices for competing crops have declined every more severely. The farm gate price for corn is down 38% and wheat is down 43%. "None of Afghanistan's licit agricultural products can currently match the gross income per hectare from opium, although the difference is not as high as it used to be some years ago," the report said. Villages that reported opium cultivation tended to be villages that were outside effective government control. Nearly 80% of villages with poor security conditions grew poppy, while only 7% of villages with "very good security" did. "This is further proof of the overlap between high insecurity and high cultivation," UNODC chief Antonio Maria Costa said in a statement. "The message is clear: in order to further reduce the biggest source of the world's deadliest drug, there must be better security, development and governance in Afghanistan." Southern Helmand province produces more than half of all Afghan opium. US and NATO forces backed by the Afghan military are preparing a major offensive aimed at breaking the back of the opium trade there. It could be underway by the time you read these words. The US counternarcotics mission in Afghanistan, a key element in Western efforts to defeat the Taliban, is short on long-term strategy, clear objectives, and a plan to hand over responsibility to Afghan authorities, the State Department said in a report released last Wednesday. The report was written by the State Department's Office of the Inspector General. The department's Bureau of International Narcotics and Law Enforcement Affairs (known colloquially as "drugs and thugs") is responsible for shaping and administering counternarcotics policy in Afghanistan, but it is not doing its job very well, the report said. "The department has not clarified an end state for counternarcotics efforts, engaged in long-term planning or established performance measures," it noted. With the Taliban making hundreds of millions of dollars a year off the Afghan opium and heroin trade, a smart, effective counternarcotics strategy is critical to US plans to defeat the Taliban by sending in an additional 30,000 troops. There are already 68,000 US and NATO troops in the country, where they have suffered their worst losses so far this year. The number of US military dead in Afghanistan this year sits at 310, exactly double the number killed last year. Overall US and NATO fatalities topped 500 this year, up from 300 last year. While an effective anti-drug policy may be critical to US plans, it may also be impossible to achieve. As analysts consulted by the Chronicle five years ago -- when opium production was just beginning to reemerge as a problem area -- noted, opium is deeply implicated in the Afghan economy, with more than a million families dependent on it for a living. "In this case, even if you support drug prohibition in general, the war on drugs is not something we can pursue if we want a rational, effective policy in Afghanistan," said Ted Galen Carpenter, an international affairs analyst for the Cato Institute. "It will undermine everything else we're trying to achieve. The international supply side drug war is complete folly no matter where it is applied, but even if you don't accept that analysis, one ought to be aware that our top priority needs to be going after radical Islamic terrorists, not Afghan farmers," he said. But heeding the views of the bureau's hard-line drug warriors, the report said that poppy eradication was "essential" to the success of the strategy. But Richard Holbrook, Obama's emissary to the region, abruptly ended the US role in eradication earlier this year, arguing that it served only to alienate poor poppy farmers and drive them into the arms of the Taliban. Instead, Western forces have concentrated on capturing or killing traffickers linked to the Taliban. Even so, the report found, the bureau had "no clear strategy for transitioning and exiting from counternarcotics programs in Afghanistan." It added that while Afghan contractors working on poppy eradication were meeting agreed-upon goals, vague performance measures in their contracts made it difficult to tell how effective they were. The report did cut the bureau some slack, noting that it faced tough challenges in Afghanistan, including "a weak justice system, corruption and the lack of political will" in the Afghan government. It also acknowledged the powerful economic incentives for poor Afghan farmers to grow opium poppies. It recommended setting "a defined end state" for US anti-drug programs, in-country monitoring of contractors, and establishing benchmarks for measuring the Afghan takeover of anti-drug programs.